March 21st is World Down Syndrome Day. The theme for 2019 is "leave no one behind" to ensure that people with Down syndrome are not left behind because of prevailing negative attitudes, low expectations, discrimination and exclusion. 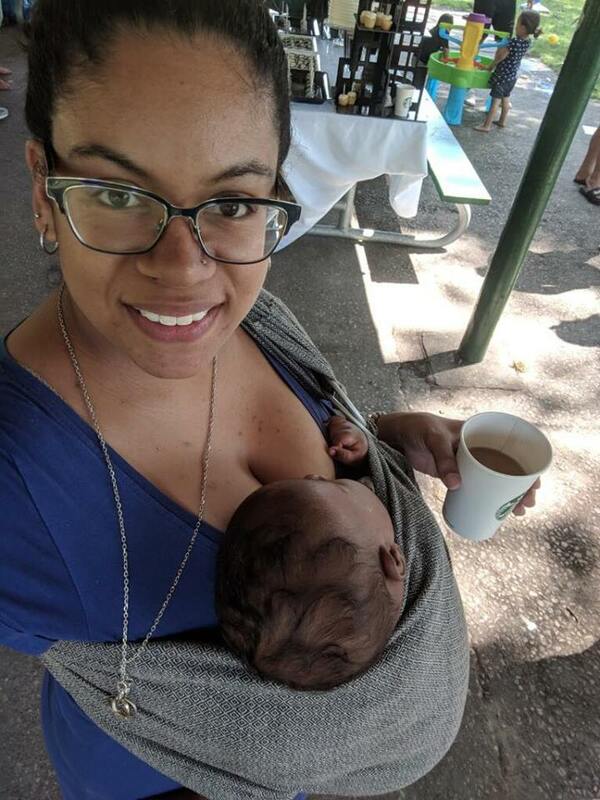 Why does celebrating Black Breastfeeding Week in Canada matter? Thank you to our valuable volunteers! Read more about Thank you to our valuable volunteers! As we end another National Volunteer Week recognizing our Leaders, we take a moment to also recognize the difference we make on the environment when encouraging families to continue breastfeeding or chestfeeding. Breastfeeding in hockey skates: a different kind of "hat trick"
Read more about Breastfeeding in hockey skates: a different kind of "hat trick"
I am exhausted. My baby is sick. Fevered, fussy, can't put her down--nursing, nursing, nursing. She is sleeping in my arms, her hair matted to her forehead with perspiration--every once in a while she whimpers softly. Poor baby, poor me. I shuffle off to the bedroom and look longingly at the cool cotton sheets. It would be so nice to lay down with her there. She'll keep sleeping as long as she's close to me. If I nurse her when she stirs, she'll drift back off to sleep. Nursing through pregnancy; is it possible? When a woman finds out she is pregnant and she is already nursing a little one both she and others may question whether nursing during the pregnancy should continue. Recent news on postpartum depression and breastfeeding pressure has gone viral. Like most moms, I felt emotionally overwhelmed thinking of what that mom had gone through and what her family is going through.